Keeping a beautiful set of pearly whites can be easier than you think; sometimes it’s just about knowing the tricks of the trade. To keep you smiling all summer long our team at Honeysuckle Dental in Newcastle have compiled the ultimate survival guide for keeping a healthy, beautiful smile. Many of us enjoy our daily coffee ritual or relish a glass of wine on the weekend. Unfortunately, both wine and coffee can be troublesome when it comes to your teeth. The concern with coffee and red wine is probably obvious: the dark nature of these liquids can discolour your teeth over time. As for white wine, this drink can be highly acidic which means it can eat away at the teeth’s enamel. After drinking wine or coffee you should swish with a mouthful of water to help remove any bacteria and help alleviate staining. Crunchy foods like carrots, celery, apples and a variety of raw vegetables are not only good for your body, they can also be good for your smile. These crunchy foods can act as a toothbrush would by clearing away the build-up of plaque. In addition to this, crunchy foods generally have a high water content, which can dilute the sugar content and also encourage saliva production. Try snacking on crunchy vegetables throughout the day, or when making dinner you can cook your vegetables for less time than usual to help retain their crunchiness. Strawberries can act as a natural whitening product in-between your visits to our dental professionals. Strawberries contain malic acid which is a whitening agent, so they can help to keep your teeth bright. Try adding strawberries to your breakfast, or snack on some for a healthy dessert. Lipsticks with yellow undertones, such as orange or red with an orange tint, can make your teeth appear more yellow. Ladies can avoid the yellow reflection by selecting a lipstick with a blue undertone. Lipsticks with a blue undertone include berry colours such as deep reds and pinks. Try to match these shades with a gloss to help highlight your lips and teeth. One of the most effective ways to keep your teeth beautiful and healthy is to floss at least once daily. Flossing ensures that you get between the gaps and remove any bacteria that is not removed by brushing. Try flossing after dinner. Brush your teeth first and swish with water, then glide a piece of floss between the teeth and slant, either way, to ensure you reach the entire inside surface of the tooth. While all of the above steps can help you maintain a beautiful smile in-between visits to the dentist, your six monthly check-up appointment is essential in order to achieve a beautiful smile that lasts a lifetime. At our relaxing dental suite on Honeysuckle Drive, Newcastle, our dental hygienist will help to ensure that your teeth and gums are healthy, as well as educating you on how to continue to look after your dental health between visits. Visit our dental suite in Honeysuckle every six months for a general check-up and preventative care appointment. When it comes to your appearance and wellness, your teeth often rank last in beauty and sports magazine columns and website blogs. Despite this, the appearance and health of your teeth can have a dramatic impact on your health and overall wellness. 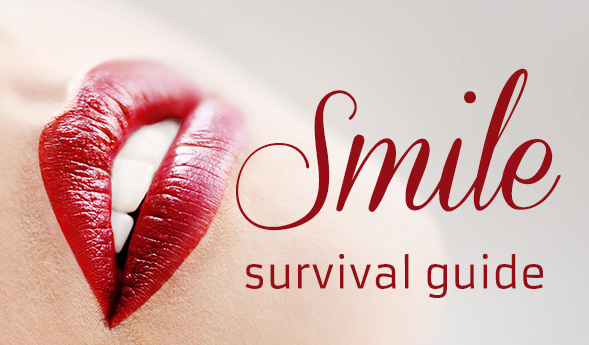 By following our survival guide you can strive to achieve a beautiful smile that can last a lifetime. Honeysuckle Dental is a modern, purpose-built a practice with a high standard of clinical care and compassion. From our practice here in Honeysuckle Drive, Newcastle, we offer our patients the full spectrum of dental treatments. To request a consultation at our Newcastle dental practice please contact our friendly dental professionals today. What does a smiling emoticon really mean?